With Vuze guest tracking, you can easily customize the system to improve guest experience and gain valuable insight on traffic. 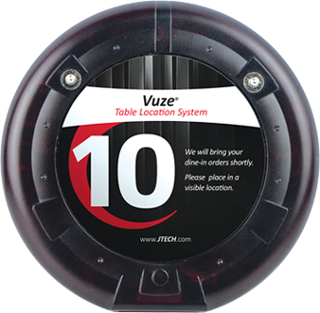 The Vuze® Table Location System from JTECH is a seamless RFID table tracker ideal for restaurants and hotels. Vuze reporting lets you analyze performance speed and take action where needed. Get dynamic reporting to spot volume trends at a glance. 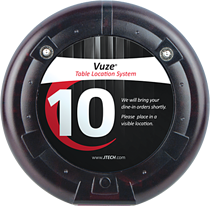 Vuze® is more accurate than any other table location system because it uses active radio frequency identification (RFID) for detection rather than passive RFID. Active RFID systems continuously broadcast a signal to accurately track guests' real-time location. Identifies in real time where a guest is located. Servers can quickly find guests from a digital layout of the restaurant. 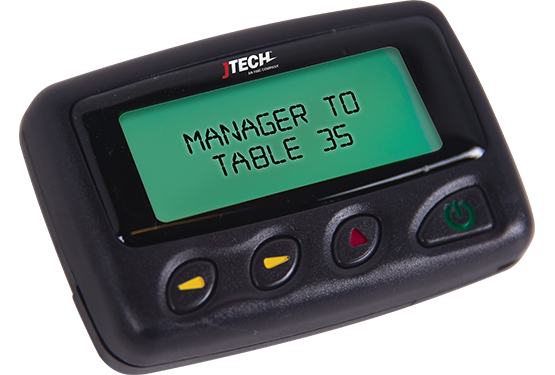 Customers use the same guest tag as sit-down guests, all you have to do is touch the deliver button on the table location display when their order is ready. 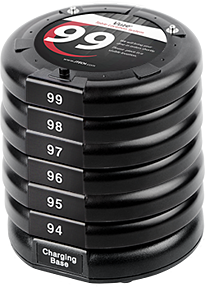 Create custom delivery zones like “Window” or “Patio" to speed training and avoid confusion. Dive into the details to gain more insight on fluctuations, peak periods and percentage of delayed orders.